In-house developed precision measurement systems, direct drive motors for linear and rotary axes, hydrostatic technology, customised advanced software, superabrasive grinding wheels and cutting tools are just a few examples of our technological capacity. DANOBAT solutions stand out for their technology but at the same time many parts are manufactured with fine craft skills in order to guarantee maximum quality, such as for instance hand-scraped machine guides. Furthermore, all machine components are supplied by top manufacturers that do not jeopardise machine quality and machining processes. 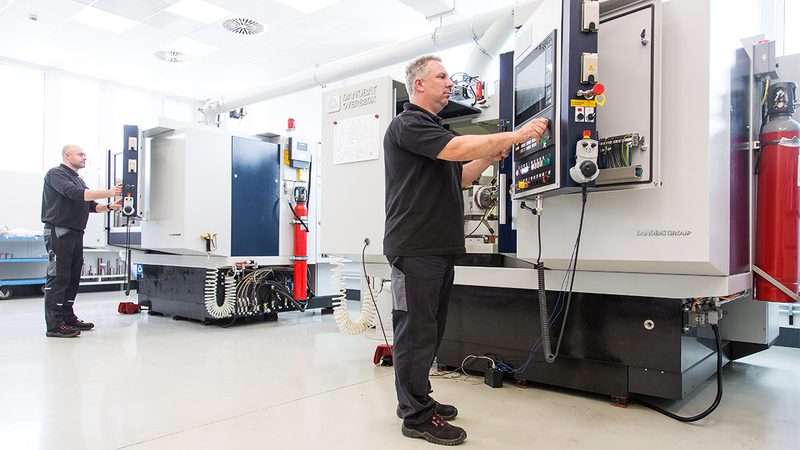 If you have problems to find the solution that best suits your needs, you are welcome to get in touch: we can perform a machining test of your own workpiece that will demonstrate what we are capable of. You can check the capacity of our processing solutions and DANOBAT machines, thus making a guaranteed investment.